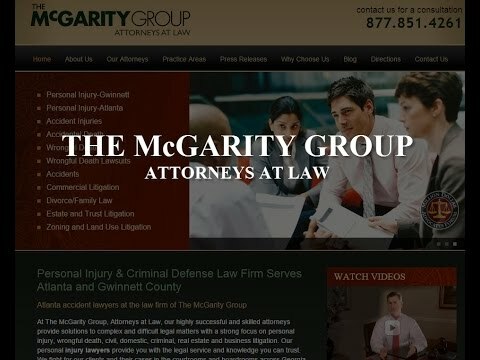 If someone you love has experienced a catastrophic brain injury in an accident, it is important to speak with an attorney at McGarity and Efstration, as soon as possible regarding your legal options. The best way to understand your rights and ability to recover compensation for your damages is to talk with a personal injury lawyer as quickly as you can after your accident. A lawyer can also help you understand how aggressive negotiations with the insurance carrier or even a lawsuit may provide you — or your loved one who has been injured — with the resources necessary to move forward after a life-changing injury. If you have been involved in an accident and are showing any of these side effects, it is essential to seek medical attention and determine if you have suffered a brain injury. It is also important to meet with an attorney at McGarity and Efstration for help with seeking remedies for your damages. Why does employment play such an important role in the recovery of returning service members with traumatic brain injury? Employment enables many people with TBI to fully participate in society. Obviously, employment is critical for a TBI victim’s income and economic health, but it also provides social interaction and reduces isolation. It is important for a TBI victim to create a sense of personal worth and social integration that contributes to greater life satisfaction. Employment after head injuries is an important component in the recovery and rehabilitation of returning military service members with TBI. What challenges might people with TBI encounter in the workplace? Depending upon the severity of the TBI, some individuals may experience few challenges in the workplace while others have more difficulties. The most common workplace difficulties for a victim of TBI are related to attention span, short-term memory, organizational skills, headaches and mental fatigue. The attorneys at McGarity and Efstration handle all personal injury matters on a contingency fee basis. If you cannot travel to our office, we can meet with you at the hospital or your home. Contact us at 877.851.4261 or online.